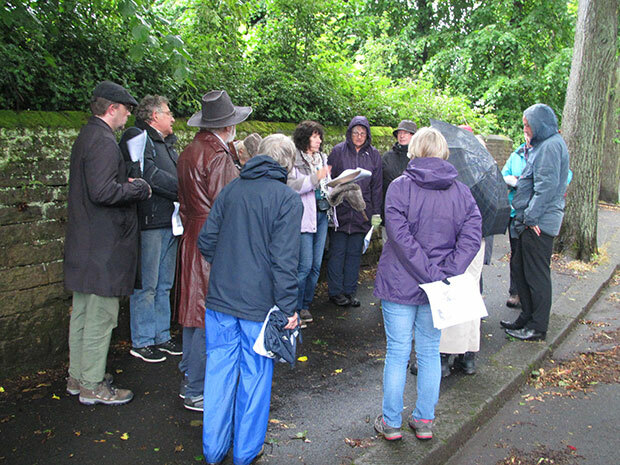 The two Crosspool history walks went ahead this week despite the drizzly weather. 28 people attended the Tuesday morning walk and 15 ventured out on Wednesday evening. A big thank you to Jan Millward for a very interesting two-hour journey into Crosspool’s past. The walks are part of the 2017 Crosspool Festival, which finishes on Sunday. This entry was posted in crosspool festival 2017, events, history, weather and tagged crosspool, history walk. Bookmark the permalink.